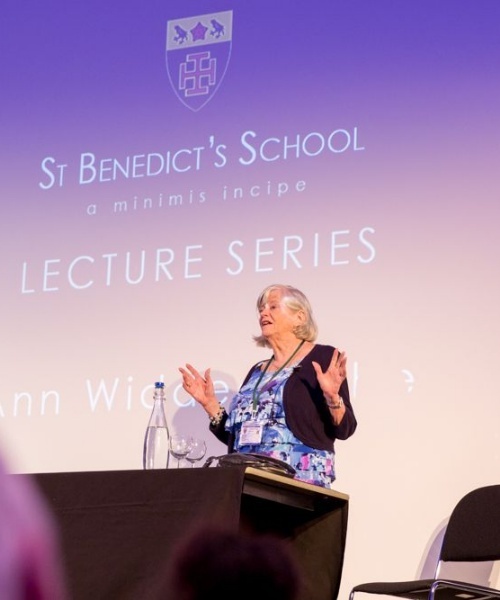 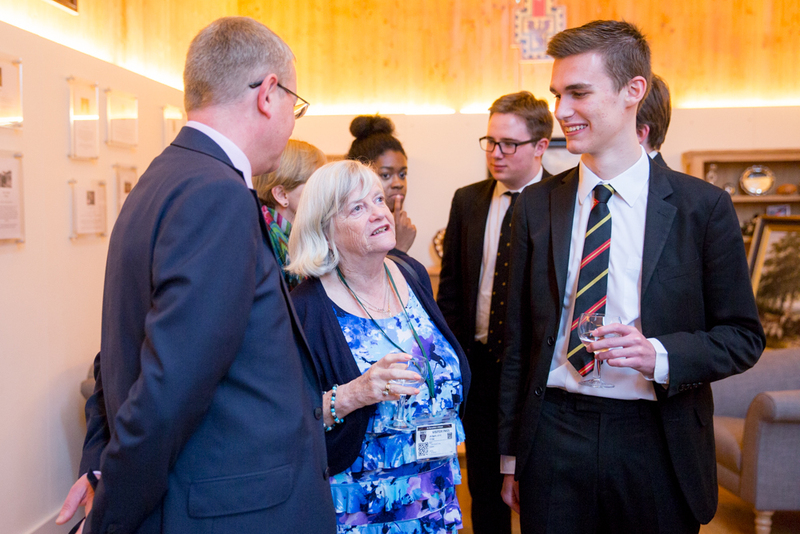 In the first of a new St Benedict’s Lecture Series, Ann Widdecombe talked to students, teachers and parents about post-Brexit Britain. 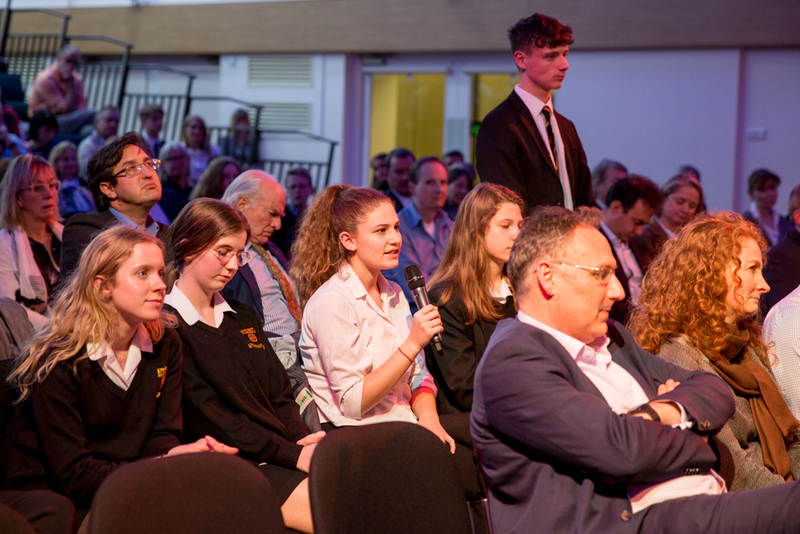 The former prisons minister, writer and broadcaster is “filled with hope” that Brexit will open up “huge new opportunities” for Britain in enabling trade with other advanced economies and the third world. 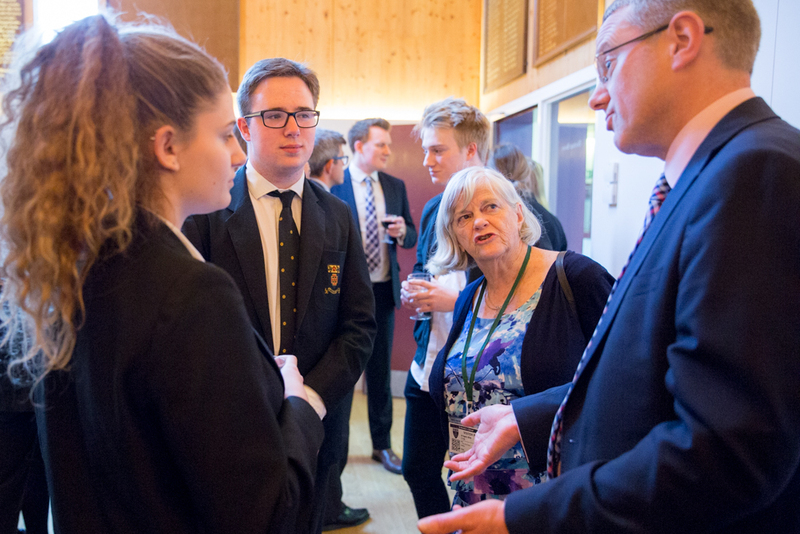 She was invited to speak at St Benedict’s by A level Politics student Ben Michael, who wanted to hear a positive view of post-Brexit Britain. 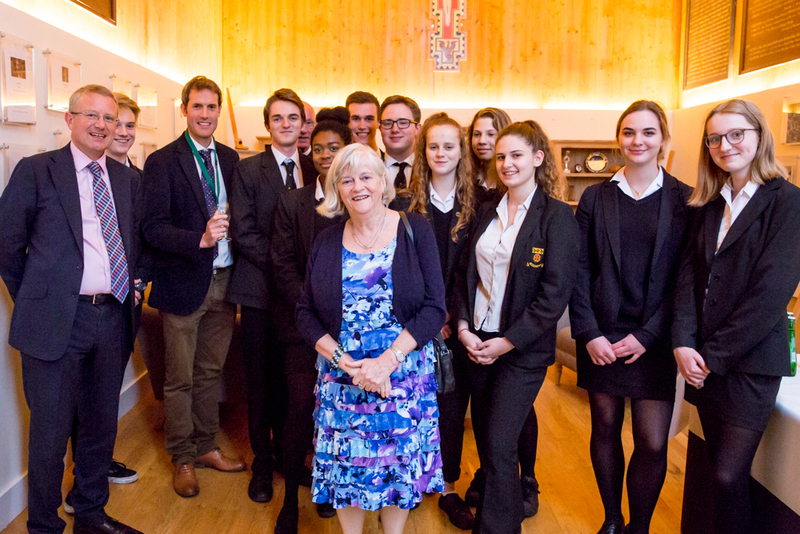 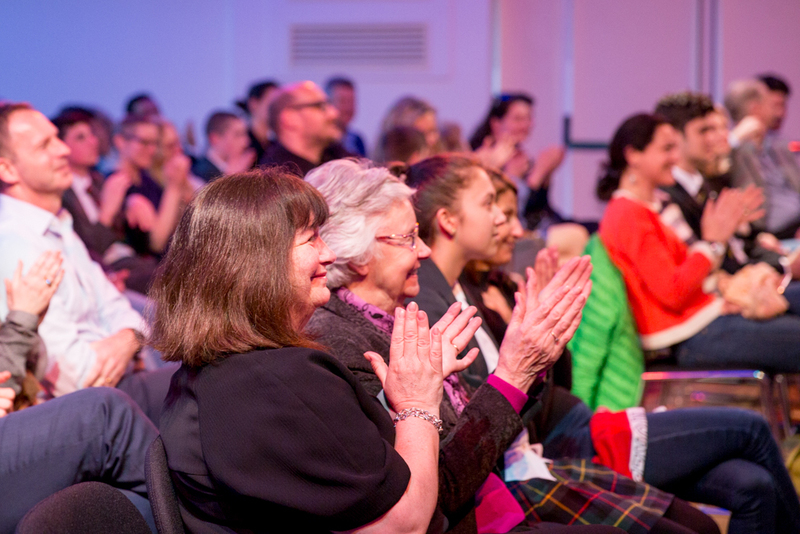 Members of the audience then challenged Ann Widdecombe on her views, which were expressed with characteristic conviction and vigour, and in particular her optimistic view of Brexit. 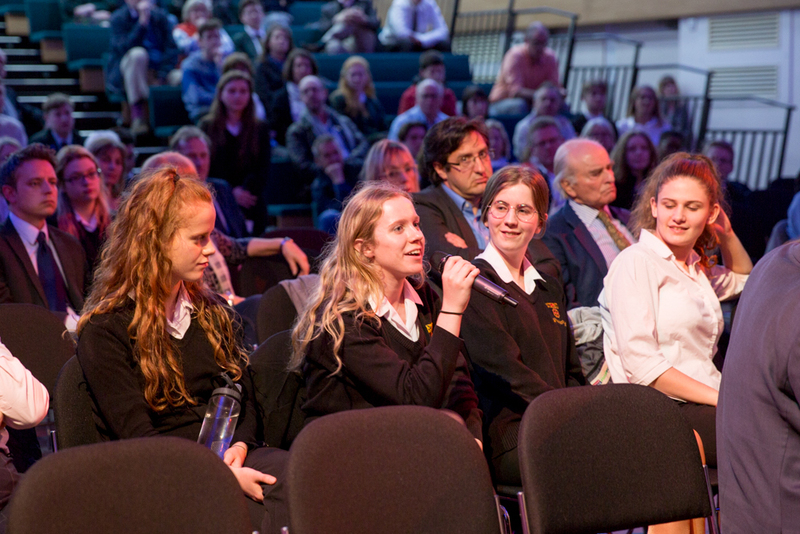 She had invited questions on “absolutely anything” and the audience duly obliged! 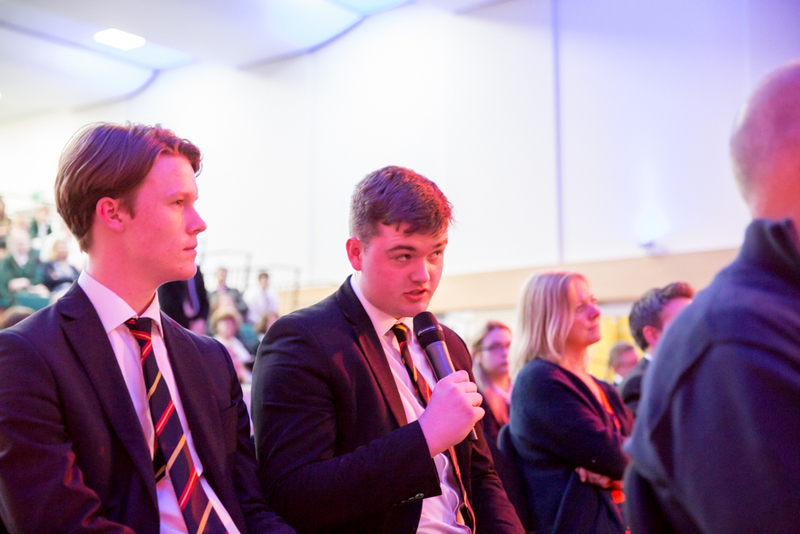 A robust and good natured debate followed, chaired by the Headmaster, Andrew Johnson. 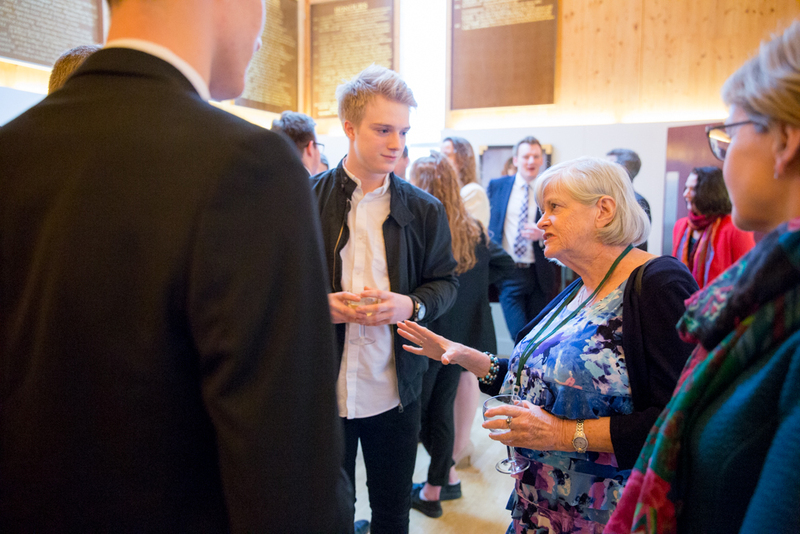 On Jeremy Corbyn, she said “he is a Marxist in favour of high taxation and high spending, which would create huge problems for the economy,” adding that his popularity among young people was down to promises he would not be able to keep, such as the abolition of tuition fees.